A busy lifestyle can lead to loss of skin tone, hydration and premature wrinkles. 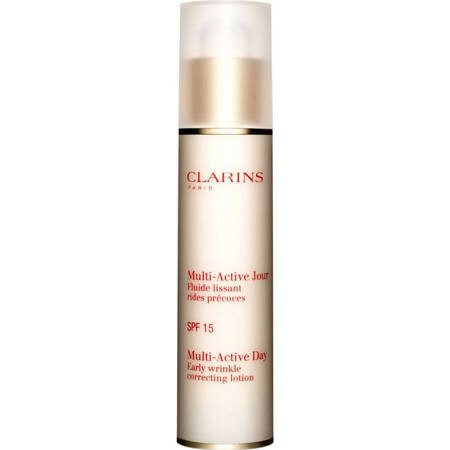 The lightweight Clarins Multi-Acctive Day Early Wrinkle Correction Lotion SPF15 sorts those problems, illuminating the skin with a natural glow as it rebalances moisture, smooths wrinkles and tightens the skin. 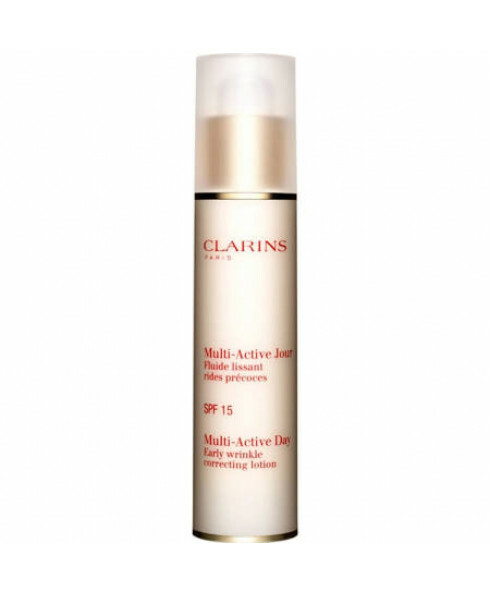 Fresh and younger-looking skin is maintained, and further damage is prevented with the extra added SPF15. Suitable for all skin types. Apply to a thoroughly cleansed face and neck every morning with light sweeping motions.